Mr. Grumbles is currently a Senior SHE Specialist at Sasol North America supporting the product registration, health and environmental issues associated with a 9 billion dollar Ethane Cracker and derivatives units project under construction in Westlake Louisiana. 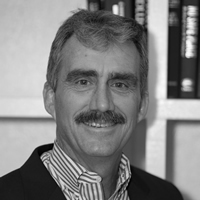 He has over 35 years experience in industrial hygiene and product safety compliance in the chemical industry. He has led the implementation of global product stewardship programs and REACH compliance efforts for the Global Olefins and Surfactants business of Sasol. He also led compliance efforts with chemical regulations in North America under the US Toxic Substances Control Act (TSCA), state regulations such as California Proposition 65 and multiple Global chemical regulatory schemes. In addition, he has led the design and implementation of corporate programs on product safety, transportation safety, toxicology, epidemiology, industrial hygiene and occupational medicine. He has experience in toxic tort litigation support. His experience in industry included occupational hygiene/exposure assessment program development and implementation for a wide range of products including synthetic alcohols, hydrocarbon solvents, benzene, vinyl chloride, ethylene dichloride, ethylene oxide, nuisance and toxic dusts including lead, maintenance chemicals and operations and physical hazards including noise and heat stress. He has chaired the Product Stewardship and Health, Products, and Science Policy teams at the American Chemistry Council. He has chaired the Research, Technology and Regulatory team at the American Cleaning Institute. He has recently become the Vice President of the Product Stewardship Society, an affiliate of the American Industrial Hygiene Association. The Product Stewardship Society provides resources, professional development, and networking opportunities to individuals who have a role in product stewardship and sustainability.